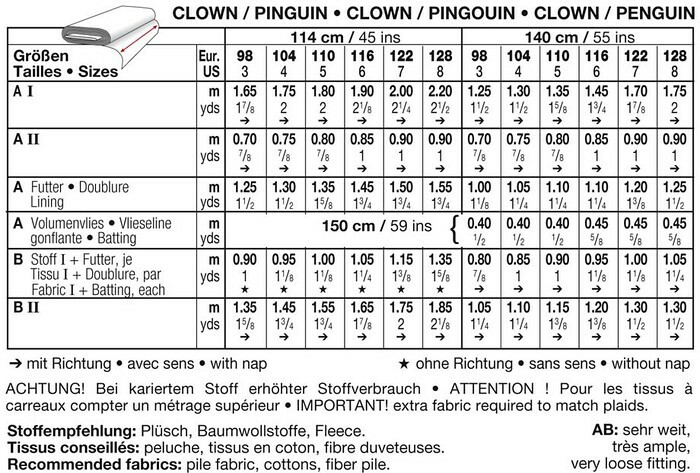 Penguin or clown – two popular costumes for the smallest revellers. Both consist of a cutaway coat and pants with elastic waistband and both are roomy enough to wear over warm garments beneath. 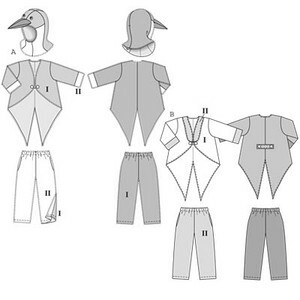 For the penguin, we have included a matching hood with beak.